Cabin now has a new full size pool table, ping pong table, and foosball table. Call for information about special deals for winter months. Also while visiting at the cabin come by and check out Diane's craft shop located on the farm. You may get to watch pottery being made or the kiln being opened. Songbird Cabin now features a 6 person hot tub. Come for a visit and enjoy all the wonderful views while relaxing in the hot tub. Please bring your own wood.. I am no longer providing wood for the fireplace. Sorry but the person who was cutting wood for me is no longer available to do so. Reminder: The cabin is located on the Cornett Deal Christmas Tree farm and the farm is open for choose & cut each weekend beginning the weekend prior to Thanksgiving. 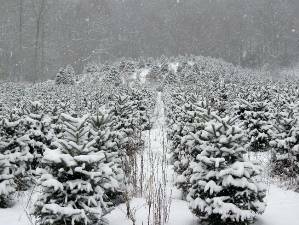 Even if you are not staying at the cabin you are invited to visit the farm and pick out that perfect tree for your Christmas celebrations. We also have available a craft shop during the Christmas season where you can find many locally made crafts as well a great selection of freshly made wreaths and garland for decorating your home. 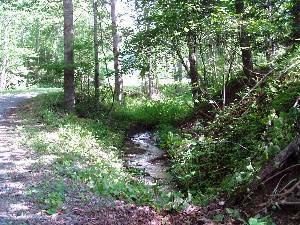 Close to Appalachian State University. Great place to stay while visiting your students attending ASU. Near Grandfather Mountain, Tweetsie Railroad, Horn in the West-outdoor drama. 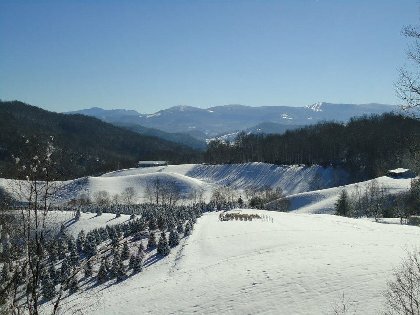 Near Appalachian Ski Mountain, Ski Beech, and Ski Hawksnest. 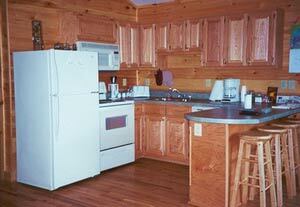 Cabin was built in 2000 and open for first guest in Nov. 2000. Another deck was added in 2009 which now has a 6 person hot tub. "Once I arrived at your cabin, I immediately left behind my fast pace life and began enjoying the beauty of God's world surrounding this valley." "What a view! Coffee on the balcony was such a pleasure! The cabin is gorgeous." the cabin is beautiful, clean and wellkept. It's a very peaceful and restful place. Diana is a lovely person who took a lot of effort to ensure our comfort by going the extra mile. My wife, my Springer Spaniel Molly, and I came up to the Songbird Cabin after Wilma cancelled our vacation. 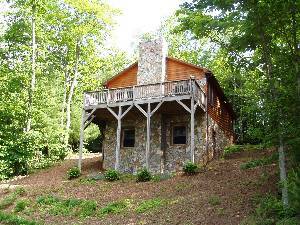 My wife has wanted to have a laid back mountain vacation at a nice cabin in the NC Mountains for years. The Songbird cabin fit the bill exactly. 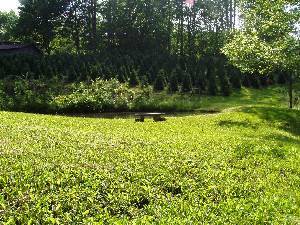 The grounds are huge (the closest house is over a quarter of a mile away), and is located on a beautiful Christmas tree farm. One night we came home to find 11 deer grazing on the land. We also saw wild Turkey's in the field next to the cabin and of course, plenty of birds. 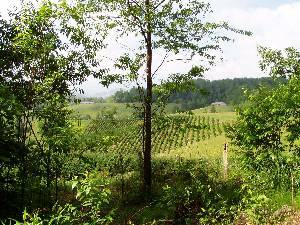 The view from the porch is spectacular, with views of Beech and Grandfather Mts. The cabin is very nice and well equipped. On a 5 day visit, we did not leave the cabin for 3 of these days. They were spent walking the grounds with our dog (who we let run) on the porch and relaxing. Diane is very nice and will bend over backwards to help. We highly recommend the Songbird Cabin. Holiday weekends require a 3 night stay. Call for more information on sepcials offered. Sales tax of 8% and occupancy tax of 6% plus cleaning fees of $75 will be added to the above rates. The cabin is pet friendly and I do charge a $25 non-refundable pet fee for each pet. Deposit: 1/2 required to reserve cabin. I take personal checks, money orders, and am now set up to take Visa and Master Card. Cancellations and Refunds: Two weeks notice to receive refund of deposit upon cancellation. Deposit will be refunded in full if property if re-rented otherwise 1/2 of the deposit will be refunded. Emergency situations will be handled on an individual basis. Other Fees: Small pets only with a $25 fee. The above tax is 6.75% sales tax and 6% occupancy tax.